Professor Pippy P. (Pee-Pee) Poopypants is a brilliant scientist who wants to change the world for the better – but his ridiculous name means that nobody takes his fantastic inventions seriously. 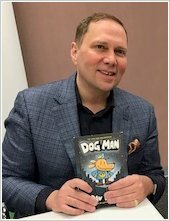 And when the kids at Jerome Horwitz Elementary laugh at his name too, the poor professor SNAPS! Now crazy Professor Poopypants is on the rampage! He is armed with fiendish inventions Shrinky-Pig 2000 and the terrible Gerbil Jogger – and he’s ready to use them! 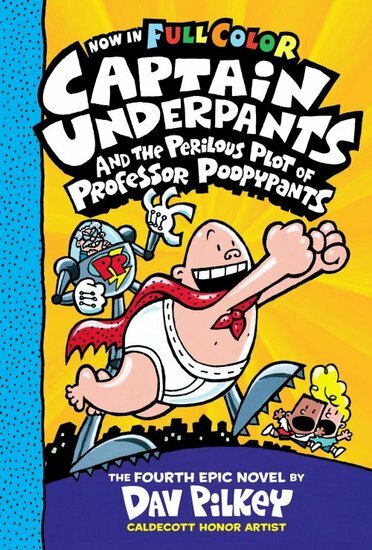 Only Captain Underpants can stop Professor Poopypants from shrinking the world to the size of a pair of pre-shrunk pants. But can he save its people from a fate even worse than shrinkage: being given a terrible toilety name like Fluffy Toiletnose, Poopsie Chucklebutt and Chim-Chim Diaperbrains…?